In the early 90’s Richard Clark and Tor Alexander Bruce were two South Tyneside-based teenagers just beginning to make their way in a reality which saw one embark on a journey into the private sector, and the other into third sector. Fast-forward too many years to mention and the two have driven their career-paths in very different directions. Richard is a Chartered Wealth Manager at Barclays Wealth, responsible for providing holistic wealth management advice to a select number of high net worth clients, whilst Tor, having been engaged as a charity Founder and CEO since 2001, directed a documentary in 2012, has just written a book, entitled The Suicide Fight. The two met again via social media’s Linked In, where Richard’s social conscience online-approached Tor to ask if his experience could be of any assistance to his philanthropic endeavours. Six months later, collaboration emerged, with Barclays Wealth match-funding a project which will no doubt resonate with many across the North East. The Suicide Fight is a 100-page book, documenting the journey through a part-factual, part-fictional narrative, of a character called The Hermit, the pseudonym of an author who penned, literally, twelve full works in total. 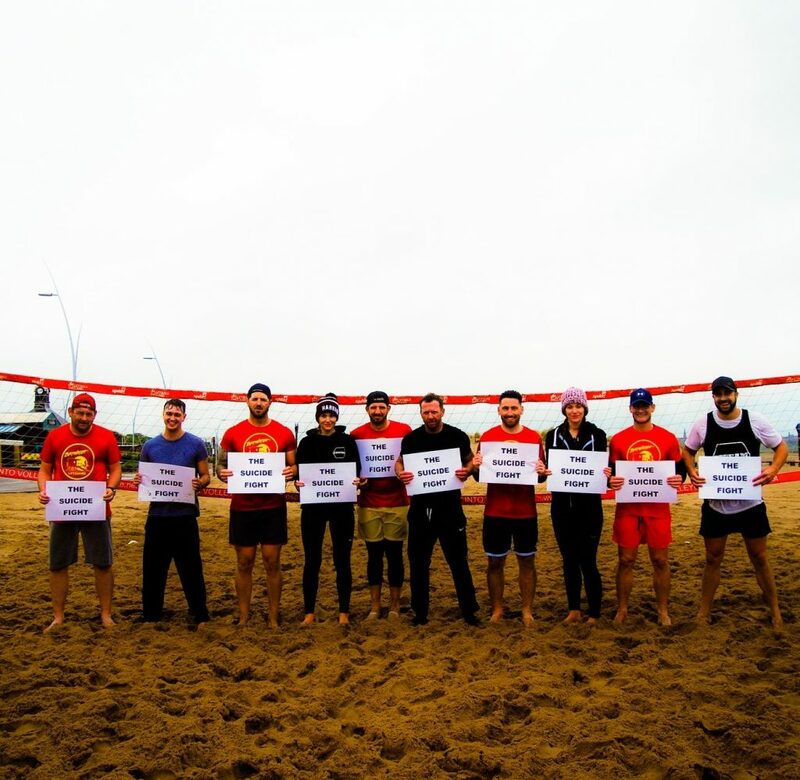 Together, Tor and Richard organised a two day beach volleyball event in their hometown of South Shields in order to raise funds and awareness in support of ‘The Suicide Fight’. Despite the weather the turnout was quite overwhelming and yet again demonstrated that the vast majority of people have an in built desire to help others. The print-run will be available via bookstores and the charity’s website at www.thesuicidefight.com which is under development in 2017.